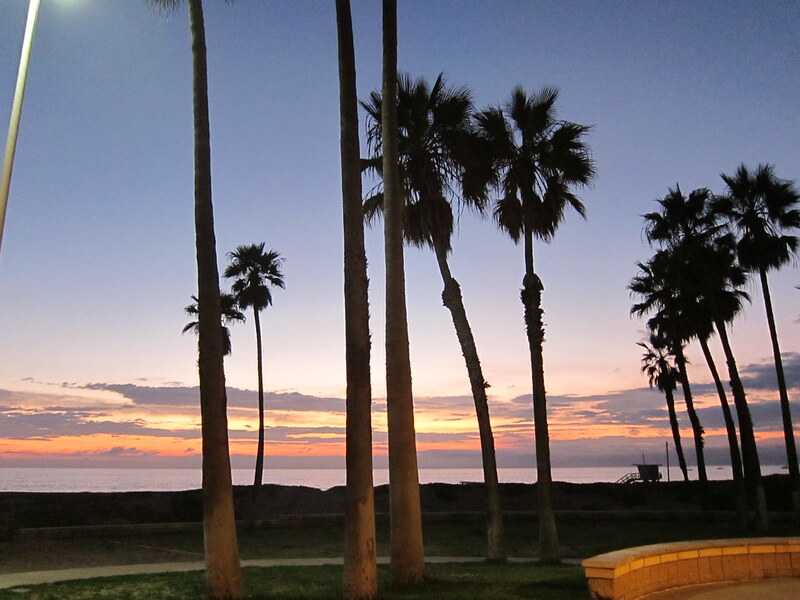 The CasITa-to-5k went running on the Marvin Braude Bikeway at Dockweiler Beach last night. The Los Angeles City Recreation and Parks Department named the Marvin Braude Bikeway in honor of the former Los Angeles City Councilman Marvin Braude in recognition of his efforts to develop the bike path and beach facilities. 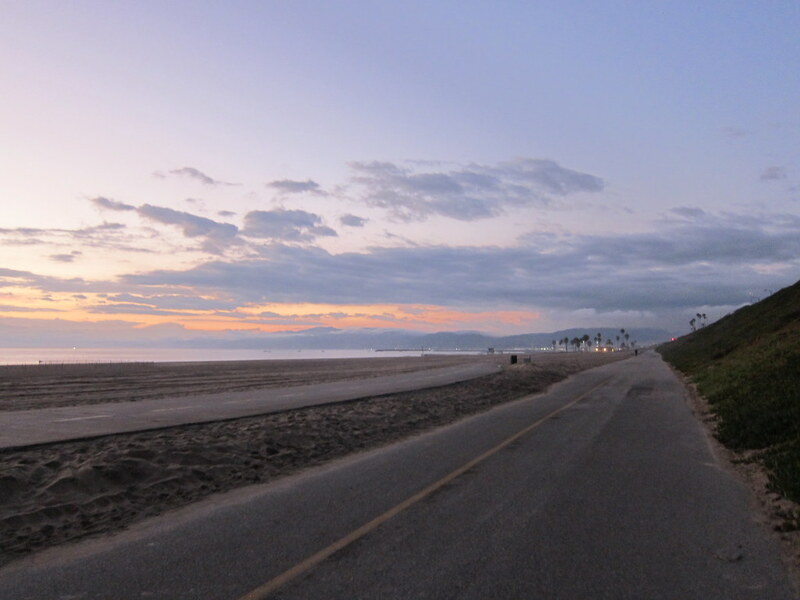 The 22.3 mile path, commonly referred to as the South Bay or Santa Monica Bike Paths, spans from Pacific Palisades to Torrance. 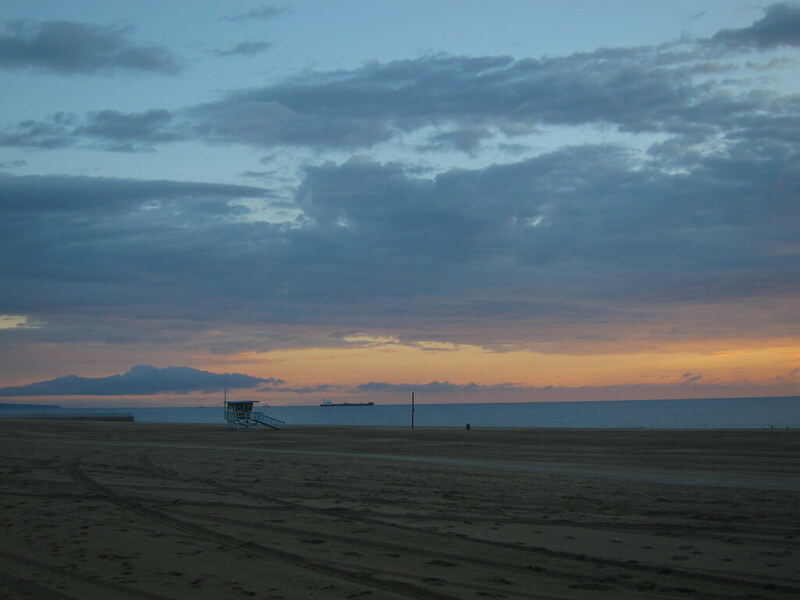 With autumn, the days are shorter and the sun was already setting when we arrived at the beach. We marveled at the beautiful shades of red and orange cast across the evening sky from the illumination of the setting sun. As we ran along the coast, aircrafts taking off from LAX flew overhead. We saw a huge British Airways 787 that dwarfed all the other planes. My legs felt heavy and fatigued. I wondered if this was a result of all the exhausting one-legged squats from kickboxing that morning or if I was still tired from the weekend long run. Either way, I was grateful each time Mr. Green Garmin beeped to indicate a walk interval. 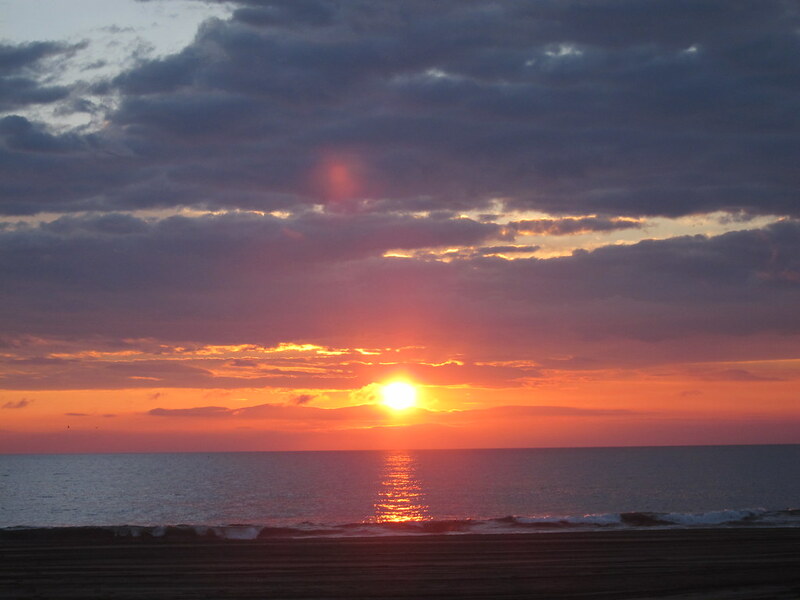 As we ran, we observed the fiery sphere descending into the horizon and stared at the reflection on the ocean's surface. I SO envy your weather... Looks amazing there! 22 Mile bike path?! That is so awesome. I just started running after work with my reflector vest, runner's headlamp, and flashing light. I love it. Running at night on the bike path would so work for me. That is a beautiful area to run, thanks for sharing those photos. Beautiful scenery for a run! You always have these lovely runs. I always see planes landing when I run. Nice photo! Your area has defnitely cornered the market on gorgeous places to run! Beautiful, beautiful scenery! Incredible photos. What I’d give to run there for a change. Awesome photos, you have the best runs! I may have just died of envy from those photos. Oh beach, how I miss you! These photos are beautiful and it sounds like it was a mostly enjoyable run. I'll have to check out the path when we're in the area next month.